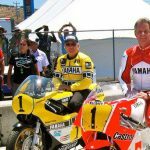 Fans of “King” Kenny Roberts will be in for a treat as the three-time World Champion will ride not once, not twice but three times at Laguna Seca during the 2011 U.S. Grand Prix, July 22-24. As previously announced, Roberts would join Eddie Lawson and about 200 fans in riding parade laps of the Monterrey, Calif., circuit on the Friday, July 22. 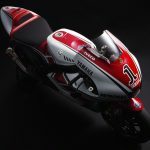 The King will return to the track on Saturday, July 23 to ride a few more laps on the Yamaha YZR-M1 MotoGP bike in the special 50th Anniversary red livery. And if that weren’t enough, Roberts will ride again on the raceday Sunday, July 24 on the same Yamaha YZR500 he rode to win the 1980 500cc World Championship. The Motorcycle.com team will be there at Laguna Seca for the U.S.G.P. so look forward to reading our report on King Kenny Roberts, the MotoGP race and the other festivities. 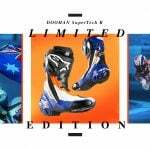 “The King” Kenny Roberts to Ride at Red Bull U.S. GP at Mazda Raceway Laguna Seca! 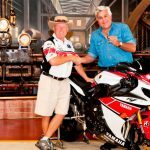 Cypress, California, July 1, 2011 – Yamaha is very pleased to announce that three time World Champion “King” Kenny Roberts will return to the track at the world famous Mazda Raceway Laguna Seca Raceway during this year’s running of the Red Bull U.S. Grand Prix. 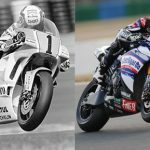 Roberts plans to take to the track all three days beginning with the previously announced fan lap on Friday, July 22nd, and then on Saturday, Kenny will ride a specially prepared factory YZR-M1 distinguished in 50th Anniversary livery for several laps during the lunch break. 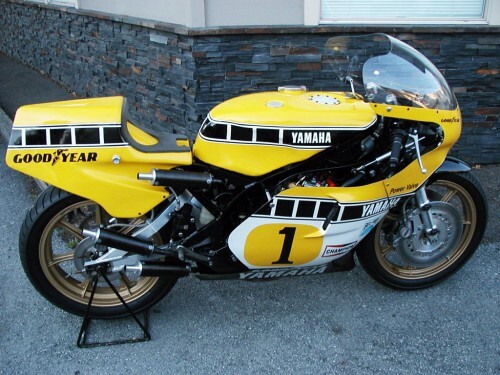 Then on Sunday, just prior to the start of the MotoGP finale, Kenny will ride his 1980 World Championship winning YZR500! Two years ago Kenny took a few laps around the famed Indy Mile to recall his incredible win there in 1975.